Sorry for late reply, work has been chaos, such a busy time! We had THE MOST amazing time. The day exceeded any expectations we had and and we loved every minute. Jolanda was fantastic. So helpful, professional and thoughtful. It was a pleasure to have her there on the day with us to share in our celebrations and ensure everything ran smoothly. The Relais Blu was an amazing choice of hotel. Mr Antonio went above and beyond to ensure our day was perfect. The service was flawless and we couldn't have asked more from all the staff. All our family and friends said the wedding meal was the best meal they had tasted in Italy! 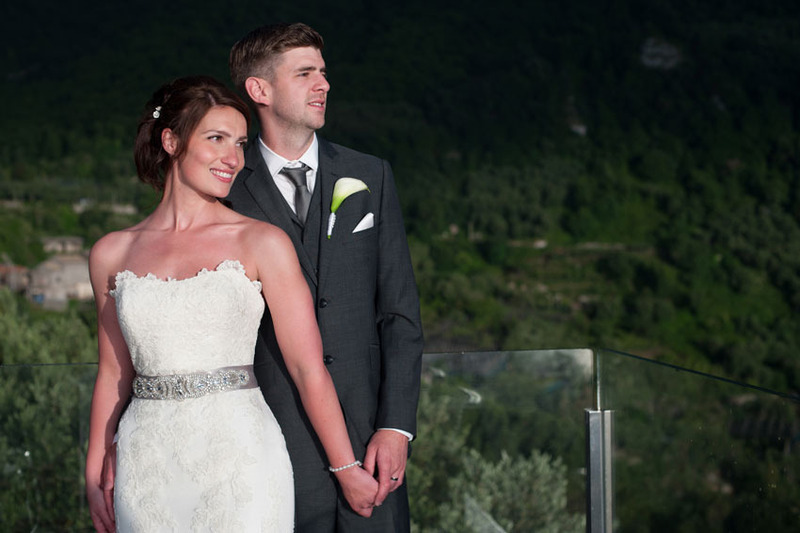 The setting was beautiful and and we spent the day after the wedding relaxing with a bottle of prosecco in the sun overlooking Capri! Gianni was fantastic. He was so unobtrusive and just blended into the background, hopefully getting some beautiful shots (I will send you some when we get them!). Yes please feel free to use any comments on the website. I will be in touch soon with pictures. We would also just like to say we couldn't have done it without you. From the first day you contacted us, everything has been so easy to organise (for us!) and it was such a safety net having you there to turn to. Your recommendations, organisation and attention to detail helped to create our dream wedding in Italy and we want to do it all again next year! Thank you for everything, we are so happy and have the best memories of our special day. If you need anything else from me please jut get in touch. I will send pictures soon!